After talking with several people here in Alabama. I felt like it was time to write this post. For the last three high school football seasons, I have volunteered my time for TV 24’s Pigskin Roundup. I helped to launch the social media stuff for Pigskin Roundup by starting the Facebook group page. Then I started the Facebook like page for last season and it now has over 1,200 likes! Because of the successes of the Facebook pages, a Twitter page @PigskinRoundup was also launched. And yes, I even launched a Pigskin Roundup Google + page. You can pretty much say I helped moved TV 24 into the world of social media. For free! Last season, TV 24 came out with a new logo, new call letters, a new studio, and a new home in Oxford. The first few weeks were rough and I heard it through the comments online. By the end of the season, Pigskin Roundup was running along perfectly! But, there were still complaints from people online and in the community. For starters, I was the only one providing online coverage of Pigskin Roundup last season. Either it was through the social media sites or the Geek Alabama blog. Each week I went out to a different game to take pictures and some video of the action. I also included all the area scores each week on my posts as well. You can take a look by clicking the link. Keep in mind, I did a lot for the Pigskin Roundup team without pay. I was providing the only online coverage of the show. The TV 24 website had no updates from anything Pigskin Roundup related. And this frustrated many fans. You see, not everyone is on social media. Some people does not want to be on Facebook, Twitter, or Google +. So Pigskin Roundup needs an online home! Since their website was not being updated, I decided to include all the area scores and this made everyone happy! I drove to different games each week using my money for gas and food. I had no problem doing this because many people loved the photos I took! My photos were the only coverage put on the web from the show since the website was not updated. The other high school football shows in Birmingham break up entire segments of their shows to put online. So why can’t TV 24 put the show online? The number one request from people was a way to watch Pigskin Roundup online. One suggestion is to use Ustream. People could watch through Ustream through their computers, tablets, or smart phones. The away football team could watch Pigskin Roundup through their phones on the bus ride back home. And the show is archived so anyone could watch on demand. I would also suggest putting in a brand new website! 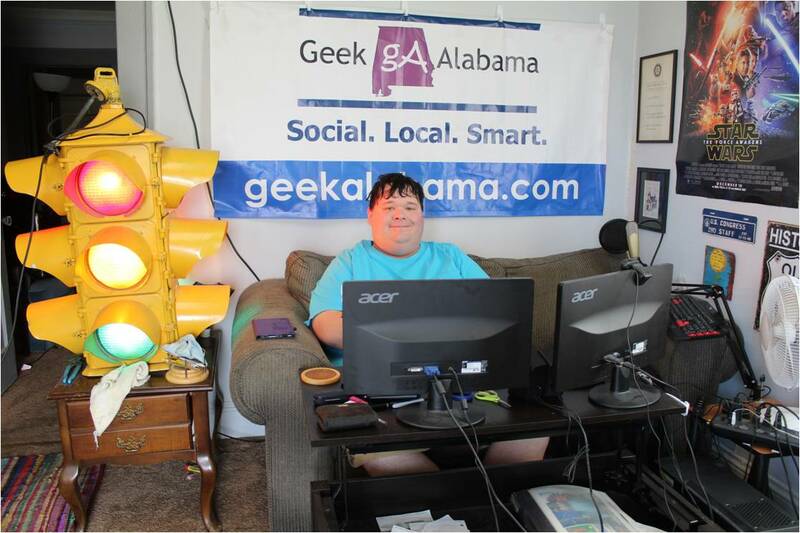 There was no online home for Pigskin Roundup and Geek Alabama was serving as the defacto home for Pigskin Roundup last Fall. Since not everyone is on social media, there must be a website to list scores, contests, news, and other stuff. If there is no website coverage for Pigskin Roundup this Fall. Geek Alabama will serve once again as the home for Pigskin Roundup coverage. All of this for no pay from TV 24! Since I am talking about TV 24, I also wanted to talk about a couple of other suggestions. One, many people especially in Cleburne and Randolph counties would appreciate if TV 24 did some more weather coverage. TV 24 could start-up social media pages all devoted to weather with weather updates and coverage during severe weather outbreaks. 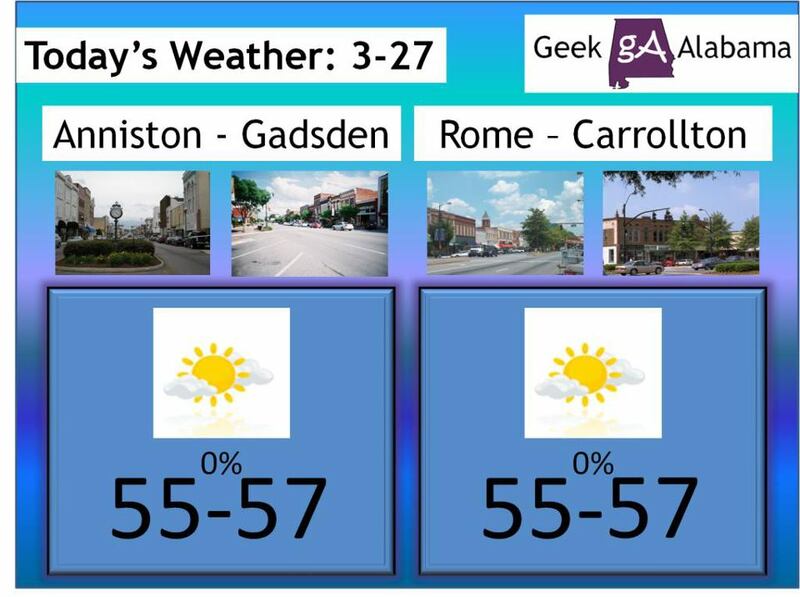 Geek Alabama already does this with severe weather coverage during outbreaks and a daily weather forecast! TV 24 could also increase their social media coverage on their regular pages. I have no control over those pages but a news station’s social media pages would provide multiple updates of news stories every day! Lots of people in Northeast Alabama are asking for an alternative from the Birmingham media and the Gadsden Times and Anniston Star (don’t get me started on them!) TV 24 needs to post more things on social media, interact with the people on social media, and yes, live-stream their newscasts. 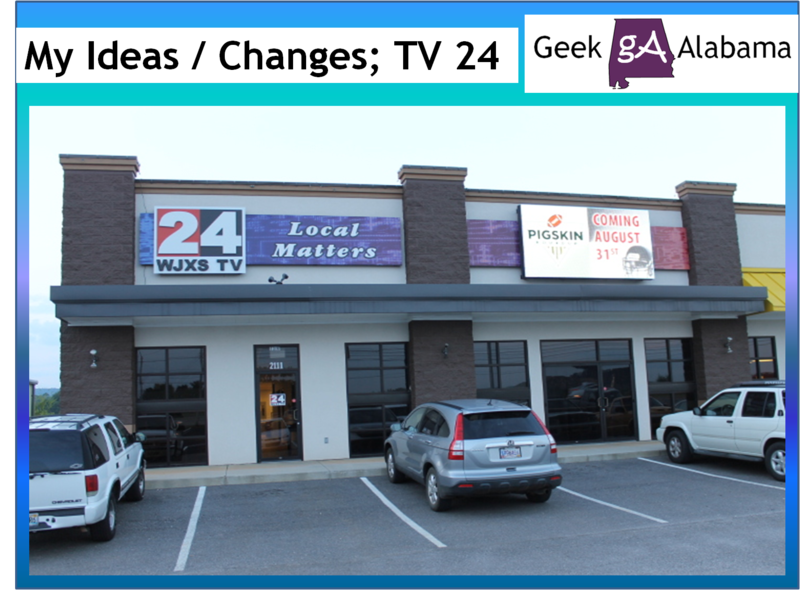 This is just the beginning of the simple changes I have proposed to make TV 24 better. But these great changes will cost money. Lots of people have wondered why I volunteered my time without pay for Pigskin Roundup last fall. I did it so the show would not go down in flames. If I was not there providing online updates from the show, I believe Pigskin Roundup would have lost a lot of support! Sure, I did this without pay and this is something I am used to since people and employers have taken advantage of me in the past. Me and the Geek Alabama blog will still go out to high school football games next Fall. The question is will I still help out Pigskin Roundup? Maybe I will get to have a meeting with the heads of TV 24 soon.